The team at Chapel Down have joined forces with Hepworth's brewery in West Sussex. They use East Anglian malt, Saaz and Cascade hops, then re-ferment using sparkling wine yeast before adding a 'dosage' of the rare Nelson Sauvin hop. Bright, fruity and full of character, it's gaining a real following. Beer made by England's leading winemaker.Lager re-fermented with champagne yeast for a Curious Brew with a clean, fruit and fragrant finish. 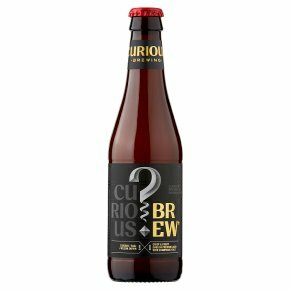 Beer by Winemakers A lager of purity and freshness, brewed using saaz and cascade hops and fine English pale malt. Then, for a cleaner, fruitier and more aromatic finish, re-fermented with champagne yeast and a 'dosage' of rare Nelson sauvin hops. We apply the passion we have for ingredients, use our endless thirst for knowledge, and apply our unique winemaker's skill to make distinctive beers of soul and purpose. Beer of unique balance, style and which does what we think great beer should do first and last - Refresh.